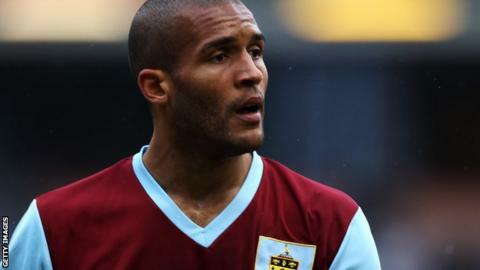 Clarke Carlisle has had surgery after suffering serious injuries in a collision with a lorry, says the Professional Footballers' Association. His wife, Gemma, has also revealed that the former PFA chairman, 35, is "very poorly" but "alive and stable". She has tweeted her continued thanks to well-wishers. Carlisle was airlifted to Leeds General Infirmary following the accident on the A64, near the village of Bishopthorpe at 07:30 GMT on Monday. North Yorkshire Police have appealed for witnesses to the incident. Carlisle's former clubs and team-mates have tweeted their support for the player, who represented nine clubs during his professional career. A number of organisations and charities that Clarke works for or has worked for have also sent messages of support to the ex-footballer. The PFA said it had visited Carlisle in hospital, adding: "We are offering our full help and support to him and his family at this difficult time." Carlisle began his professional career with Blackpool but also turned out for QPR, Leeds United, Watford, Luton Town, Burnley, Preston North End, York City and Northampton Town. After he stopped playing, he began working for the PFA and was also a television and radio pundit. He was also a contestant on the long-running Channel 4 quiz show Countdown and a guest on BBC's Question Time. He is also an ambassador for equality campaign body Kick It Out. Burnley said there would be a show of support for Carlisle with a minute's applause in the fifth minute of their Boxing Day game with Liverpool. Clarke used to wear the number five shirt when a player at Turf Moor.